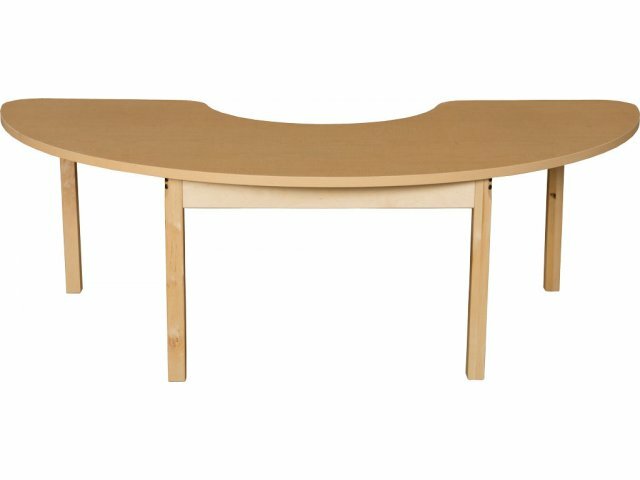 Kidney Laminate Classroom Table - Hardwood Legs 76x24"
This kidney classroom table lets a teacher work with a group of students while sitting in close proximity. 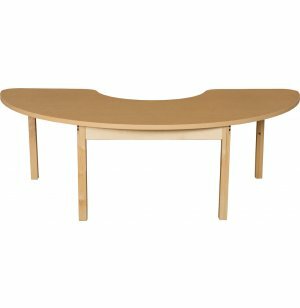 Laminate Classroom Tables from Wood Designs have the classic appeal of natural wood coloring at a price you can afford. Their subtle calming style will fit right into any learning space. High-pressure laminate table tops match perfectly with hardwood legs, providing a timeless understated charm, so you can have that look you've always dreamed of without going over budget. 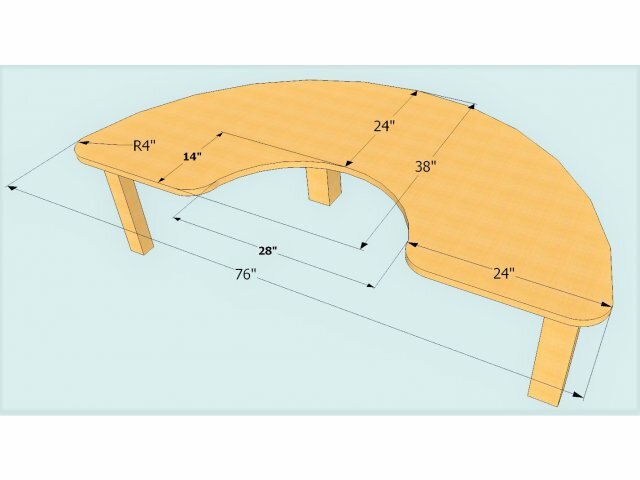 These high-end classroom tables are designed to serve your students for many years to come. Heat-sealed edges protect table cores while rounded corners promote safety. 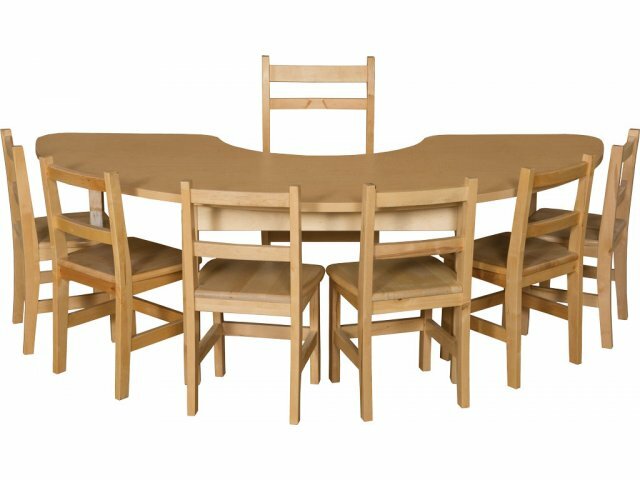 With a great selection of sizes and heights, you can enjoy these school tables no matter how big your classroom is or how old your students are. Natural Appeal: Coordinated table components feature natural wood coloring. Perfect Fit: Available in a selection of sizes and heights to fit your classroom and students. Reinforced: A 3.5"-thick Baltic Birch apron directly supports the tabletop from underneath.